Long-term exposure to loud noise has a cumulative impact on hearing over our lifetime. But the good news is that noise-induced hearing loss can be prevented, and Etymotic’s high-fidelity solutions allow musicians to do that. 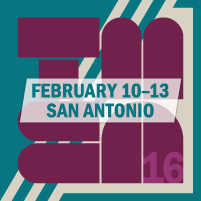 With over 26,000 attendees (including over 9,600 active music educators), TMEA offers opportunities for professional development, inspiration, networking, and best buys on anything the music industry has to offer. The TI:ME Music Technology National Conference is also being held in conjunction with the convention, adding its events to the TMEA schedule. Etymotic participates at TMEA to exhibit and demonstrate its earplug products, but also to further its mission of hearing health advocacy for music educators, their students and their students’ families. TMEA is also a place where Etymotic representatives can meet with music teachers and raise awareness for its Adopt-A-Band program. “Etymotic launched Adopt-A-Band in 2010,” said Etymotic’s Global Sales Operations Manager Charlene Clements. “Since then, we’ve enrolled almost 400 high school marching bands, concert bands, drum lines, indoor percussion lines, orchestras, pipe bands and band camps.” Adopt-A-Band provides a turnkey solution for educating and protecting the hearing of both faculty and students. Etymotic is a research, development and manufacturing company that designs high-fidelity personal audio products and hearing wellness solutions to assess enhance and protect hearing. For over 30 years, innovation and education have been central to Etymotic’s mission. Etymotic is one of the most respected leaders in high-fidelity audio and hearing conservation. For more information about Etymotic, its hearing wellness mission and its products, please visit http://www.etymotic.com.